Waverly Farm’s 375 acres were part of a 5,000-acre land grant to Alexander Ross, a Scottish-Irish Quaker, who built the original part of the stone house in 1734 using limestone found on the farmland. Hopewell Meeting House, also a part of the grant, was built in 1736. It is the oldest church west of the Blue Ridge Mountains still in use. 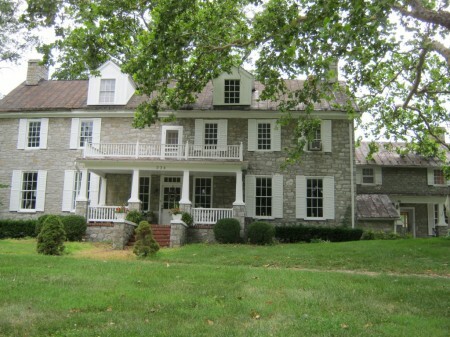 George Fayette Washington, a great-nephew of George Washington, bought the farm in 1826 and named it Waverly. Because of the excellent spring located here on the farm, both the Confederate and Union troops used the grounds extensively as a campground during the Civil War. 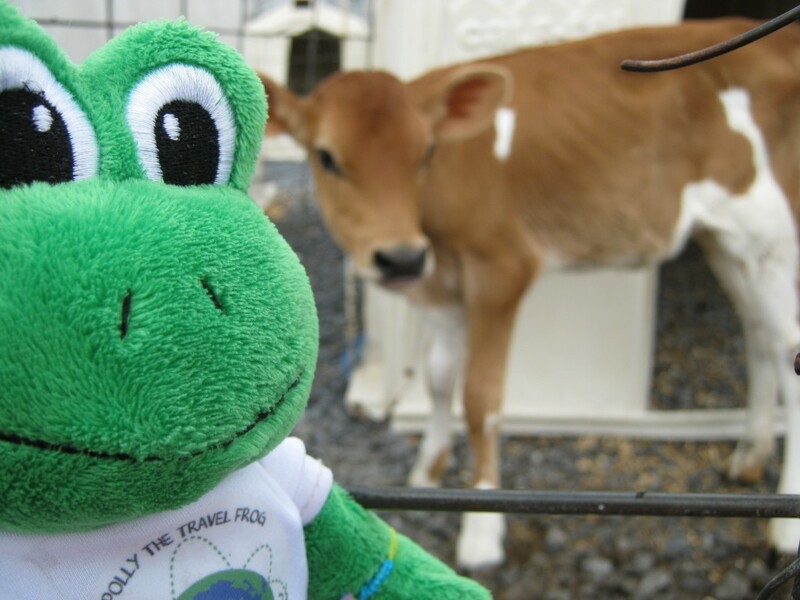 Polly is milking this photo! 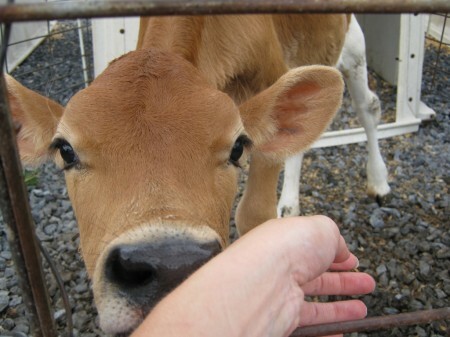 The Jersey herd at Waverly Farm was started in 1967 when Robert and Hazel Stiles moved their 50-cow herd from Montgomery County, Maryland, to Clear Brook, Virginia. The herd today consists of over 400 registered head and is a family owned and operated business run by the couple’s sons, Mike and Paul Stiles, and their families. Waverly Farm owns 375 acres and rents an additional 250 acres for crops as well as pasture. 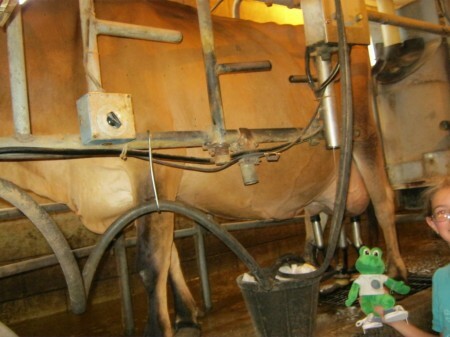 Our cows are housed in free stalls and milked twice a day in a 10-stall side opening milking parlor. They line up each time in nearly the same order (on their own). The day we went, there were about 20 calves. Each one had its own pen, but had allotted play time outside. We definitely enjoyed our trip to this dairy farm. Although it is not open to the public, the family allows small groups from schools, day cares, and scouts (like us) to visit. This is really interesting. I’m amazed at how the cows line up in the same order on their own almost every time. I guess they have routines just like people do. Also, the house is beautiful! You guys sure do pick some interesting places to visit! This seems like an interesting place to visit. It seems like it would be a lot of fun for kids. Very cool! This is a nice post, and I enjoyed reading it. I can’t decide if Polly is cuter than the calf. That’s a tough one!